Here comes the stock market correction…What should you do? You’ve been messing and toying with the brightest minds since 1792, when the New York Stock Exchange was created under a buttonwood tree on Wall Street. Your latest bull market run has as many investors as puzzled as it does nervous. The longer we go on without a stock market correction the potentially worse it will be when it eventually hits. At this point, it’s clearly not a matter of “if” but “when” it is coming. Pullback- A pullback is typically a move of -5% from a recent stock market high. During most bull markets this is expected and “par for the course”. Investors use these as mini-buying opportunities during longer bull market stretches. Correction- Much like a pullback, a market correction is also short-term but just a bit more significant. On average a correction is typically about -10% from recent stock market highs. Bear Market- A bear market is an entirely different beast than the two common phenomena above. By definition it marks at least a -20% decline from a stock market top. Not only is it seen as more severe but its duration is at least a couple of months but can last much longer. Stock market corrections are simply part of the game. Going back to 1932 we have seen corrections of at least -10% an average of every two years. Furthermore, guess how many bull markets over the past 40 years have had a legitimate 10% correction? This simple investing truth should be required knowledge for every investor. Before being allowed to open a brokerage account firms should have every new investor write this sentence down 10 times and commit it to memory. Enough with the jokes but hopefully you get it. If you’ve invested long enough you’ll know that some of the biggest mistakes are made in times of pure emotion. In a perfect world it would be absolute bliss if you could peer into your crystal ball and see that a correction was coming and simply side step it and then get back into the same positions you just sold at a lower price. Sorry folks…that’s not going to happen. Stock market corrections are like airplane turbulence. They will happen on almost every flight. The pilots and crew are professionals and while they may not enjoy turbulence it’s not because they are braver than you that they don’t show emotion. Every year there are about 60 people who get injured from airplane turbulence and 2/3 of them are the crew simply due to being out of their seat belts. Putting those numbers in perspective shows you that 20 people out of the over 800 million air travelers get injured each year from this common yet fearful occurrence. The next time the stock market gets bumpy (turbulent), don’t try and time it ; it’s like trying to step out of the plane or think you know which flight will be less bumpy. You can’t predict it but you can prepare for it. Get your shopping list prepared. While we just spent some time telling you that you probably will get more hurt by trying to time a naturally occurring phenomena, you can actually take advantage of it. If you have positions with large gains consider taking some light profits. Why not pare down a position or trim one that you have too much exposure to? Lastly, if you plan to do nothing at least spend the time by building out your shopping list of potential “buy” candidates. The time to research a stock that you may want to own is not when you’re in the middle of a storm and the company is getting hit hard along with everything else. See what your portfolio needs in terms of its allocation and start building a short list from there. Is it a correction, a crash, or the start of something more? This is perhaps the hardest question to answer. If we indeed see this bull market extend itself we will be presented with this exact scenario. A correction is most welcomed and actually healthy. What is setting up for most is what could historically be a normal correction but since we haven’t had one in so long it will create more anxiety and potentially become more severe in nature. Our personal opinion on this is that while nobody knows when it’s coming it is so clear that we are headed for one that there will be more selling and media coverage to amplify it than in times past. That being said, we actually believe it’s wise to take a bit of precaution leading into this correction…not during it. If we see a sharp and dramatic decline over a very short period of time…do absolutely nothing! Like a rubber band this market will be pulled in one direction and most likely snap back quickly. Our suggestion is to take this upcoming correction in a gradual manner. Now – Sell 5% in several of the more volatile asset classes relative to your model allocation. After the correction – This can be challenging because nobody rings a bell to let you know we’re done selling off. In bear markets people will almost inevitably call the wrong entry point and claim “this is the bottom”. Stock market corrections are different though and you have to pull the trigger using your pre-planned and disciplined approach. Break out the shopping list and buy something on sale. Let us reiterate…buy something…not everything. This article intentionally won’t go into the details of why we are going to have a correction. Everyone has an opinion on this and if you’re reading this it’s probably not your first rodeo either. We would just remind you to turn off the tube because those entertainers (that’s what they are …not journalist or economic experts) have no clue who you are or what you risk tolerance is. 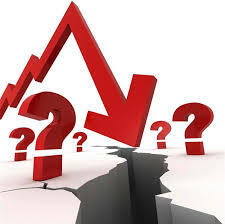 We do in fact believe the correction is not only underway but it’s brewing in a seductive yet deceptive way. In our opinion this market is taking the last few suckers’ money and setting up for a possibly violent pullback. It will be one that is worth taking some money off the table now but not just to protect capital but rather to consider buying back sooner than not. We believe that there will still be more steam left in this bull market but it will shake out some weak hands. Lastly, we promised you an answer to a perhaps very predictable quiz from earlier in the article. The answer is of course (d). Every single bull market over the past 40 years has endured one correction of at least -10%. This one won’t be any different before it’s done. The only difference is that it has taken much more time to develop and many are anticipating it so much that they’ve missed most of the upside. Their voices are now becoming louder because they NEED to be right not because they know or see something obvious better than you. Yes…dear “Captains of Obvious”…here comes the correction; just please don’t tell us you predicted it! This entry was posted in Asset Allocation, Behavioral Finance, Diversification, Economy, Emerging Markets, Equities, Investing, Investment strategies, Investor education, Timing the market and tagged Active management, American Association of Individual Investors, Asset allocation, Exchange-traded fund, Market sentiment, Market timing, S&P 500, Stock Market, Wall Street by Matt@DearMrMarket.com. Bookmark the permalink.